Pain has taught me to be kind, caring, and compassionate. 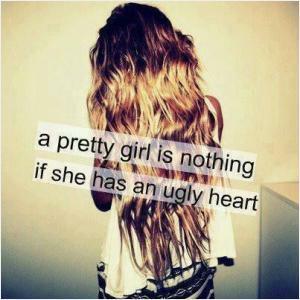 Some people should give that a try instead of being heartless. Just when you give up and think the whole world is heartless, you turn around and face someone so wonderful that they give you a reason to Love again, at least one more time. You claim to be heartless but you're always doing nice things for other people ? You're just a sweetheart that's afraid to get hurt again. Sometimes I wonder how people can become so insensitive. You show them all your love and yet nothing happens. And how insensitive can we get too. We still love them even if we knew. Society teaches boys not to cry or show their feelings, then act surprised when some men act heartless. You claim to be heartless but you're always doing nice for other people ? 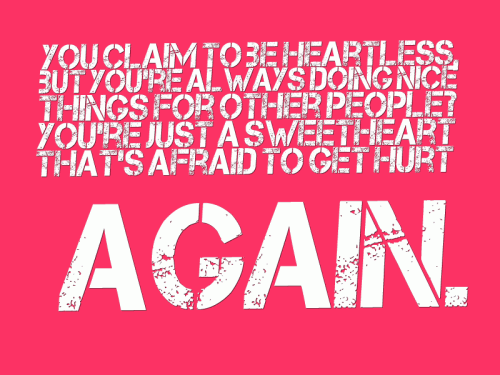 You're just a sweetheart that's afraid to get hurt again. You claim to be heartless, but you're always doing nice things for other people? You're just a sweetheart that's afraid to get hurt again. My brain has no heart, my heart has no brain. That's why when I speak my mind, I seem heartless and when I speak my heart, I seem thoughtless. Heartless is a term that is an adjective describing a person, or thing that has no feeling, and that is usually unkind, or not sympathetic to someone or something in need of sympathy. A heartless person is not your ideal romantic, and in fact probably live without being in too many relationships until they actually have a change in heart. The term heartless was first used in the 14th century, and was first used to describe people who had cruel minds, and thoughtless actions. A heartless person is the opposite of a person who puts extreme care into everything they do. 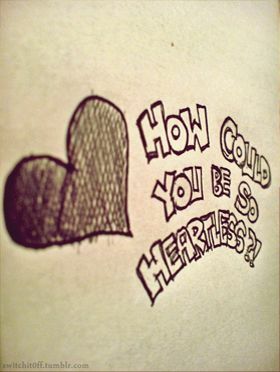 Heartless is synonymous with the words cruel, hard-hearted, insensitive, savage and even ruthless. Those who are heartless may be so because of a lack of love provided to them during their upbringings, or because of a ended relationship that scarred their outlook on life. Whatever the cause, it may be wise to be careful when entering into a relationship with someone who doesn't seem to care about much of anything.